The Right Brain: What Are You Thinking? Occasionally builders complain (and sadly, sometimes justifiably so) that an engineer or architect they know can draw pretty pictures, but he doesn't have a clue how to actually build anything. And it's worse when that engineer doesn't know he doesn't know and insists that the builder just "build it how it's drawn." 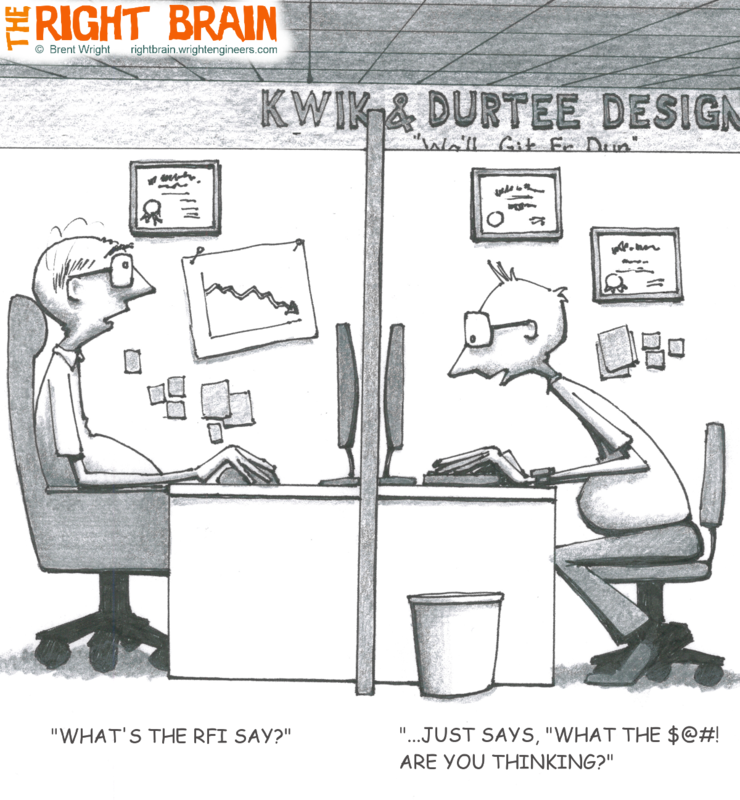 ...and it's even worse if the engineer can only communicate in "engineerese". On the flip side, it's not uncommon to hear an engineer gripe that the builder on such and such a project needs a lot of "hand holding", or that he fires off dozens of "duh" RFIs which the engineer could answer with, "Did you not even look at the drawings?" It's a love-hate relationship. Depending on the day, mostly love.